Hi, I'm Dave Landsberger and I founded Poems While You Wait with Kathleen Rooney and Eric Plattner in 2011. You might not know that though, considering I've been absent from PWYW since March of 2017. October marked my triumphant return to PWYW. 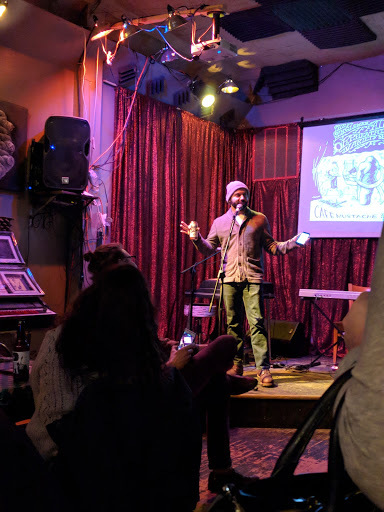 I read a few new poems in front of a Friday Night crowd at Cafe Mustache in Logan Square for a series entitled "The Singleman Affair". I will rank the new poems in order of how well they went over. On September 28, 2017, Poems While You Wait visited Randolph Street Market. I wrote one poem that I like, titled "WAVES OF FALL". 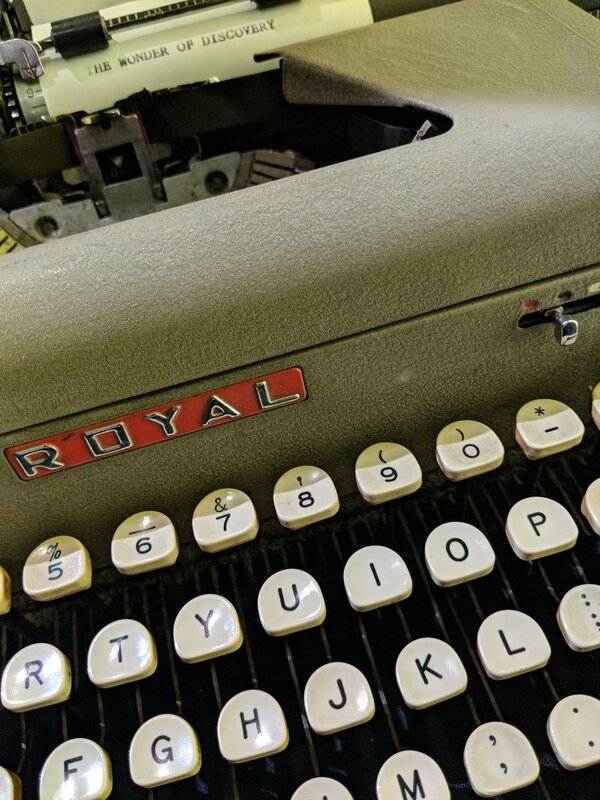 I have since retitled it after the first line, "I WOULD BE RELUCTANT AS LEAVES"
On November 17, 2017 Poems While you Wait attended The Adler Planetarium's "Adler After Dark" series. The theme this time around was "Adler After Dark Ages" so there were tunics all up in the place. I don't think I wrote anything that amazing this night, but here's some pics including an obligatory shot of Chicago from Northerly Island. Lit purple for Veteran's Day, I really enjoy this color on the city. I also enjoy how you can see the border of the light polution on the clouds to the right. Here's to being more public. See you out there.